When even hardened stamp collectors are saying that it is time to give up for one reason or another (and there are many), it's no surprise that the demand for Smilers Sheets, particularly the Business Customised Sheet, has reduced from its peak at the turn of the century. Back in 2011 when the Norfolk and Norwich Philatelic Society celebrated its centenary we were debating whether to have a Business Customised Sheet (BCS), but the economics just didn't work out. 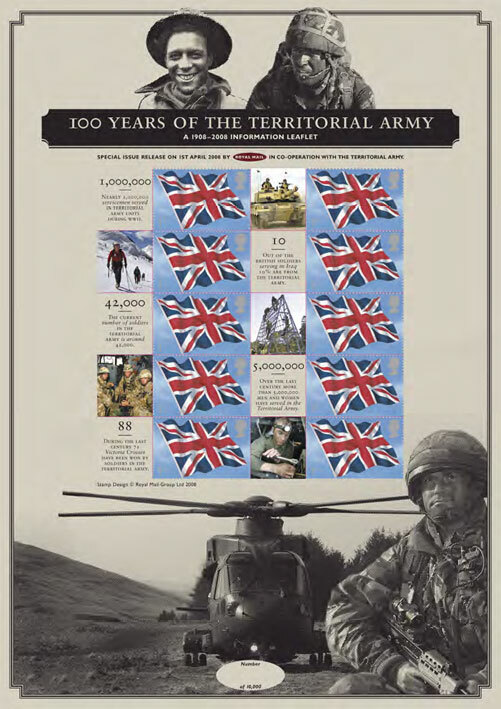 Interest in all Smilers was already in decline and Royal Mail had started (n 2008) to produce its own version of the BCS, the Commemorative Sheet the first of which marked the Centenary of the Territorial Army. At the time Royal Mail said that Commemorative Sheets would "be used ... to mark anniversaries that never quite made it into the stamp programme", a ridiculous statement and a chance to sell 10 stamps for more than twice face value. Earlier this year Halley's Comet from 2010 was still on sale at Tallents House! Originally aimed as a business alternative to the personalised Smilers, Business Customised Sheets were launched in late 2001 and a few were used by companies for publicity or as gifts. But some stamp dealers soon realised that there was an opportunity to diversify from first day and commemorative covers, and make some money instead from people interested in particular themes (football, Concorde, Dr Who, railways). But by 2011 the decline had started (see Who's Smiling Now? Business Smilers take a dive). Noticing how few new sheets were being offered for sale this year, Graham Howard of Smilers-Info checked the future plans of the market leaders. Whereas in 2015 the three produced 30 sheets between them, in the first half of this year there were only 3. Adrian Bradbury is reported to have said that he is no longer producing what Graham describes (even though fewer people seem to want them nowadays) as 'these collectable sheets'. Buckingham have said that their output would be reduced, probably to just one or two a year. Benham were non-specific, saying that they will produce sheets for future subjects when it is considered suitable; they are producing a series for World War I.
Royal Mail produced four Commemorative Sheets for each of 2014 and 2015, but only two are planned for this year, one continuing their World War I series, and the other for the Battle of Hastings. WWI will continue in 2017 and 2018, but perhaps after that this series of 'collectables' will be allowed to wither and die, as Royal Mail continue their plans of shifting the burden of the Stamps and Collectibles Division's income from real stamp collectors to people who have a particular interest in, for example, Star Wars and Beatrix Potter. Meanwhile if you have an interest in any of the particular sheets or subjects, many are available for much lower than the original sale price. I was able to buy some of the early football sheets this spring for the current face value of the stamps - £6.40 - compared with the £25+ for framed examples sold by the football clubs when they were first sold. I never try to dictate what people should buy, and if you collect all or any of these quite attractive sheets that is good, as it helps the philatelic economy. However, you should not think that these are all a good long-term financial investment as recent sales on eBay demonstrate. You are quite correct - Bradbury is now selling his Sheets today (25-11-2016) for £14-88p each!!! This is a half-price promotion but a long way off the previously advertised prices. Themed Collectors have all but disappeared. The bubble has burst!